NATIVITY—Our Lady of the Assumption Church in Bloomingburg held its inaugural Presentation of the Live Nativity in the Father Jim Hess Pavilion on Dec. 3. Above, parishioners Rob Lawrence and Tanja Beemer portray St. Joseph and Mary overlooking the newborn Jesus. Other parishioners served as an angel, the Wise Men and two shepherds. A sheep and a lamb, belonging to local 4H members, also took part. The newly fashioned stable gave sufficient room for the parish choir to provide music during the first performance, and the Carmelite novices from Brandsma Priory in Middletown came to sing during the second performance. About 100 parishioners were in attendance. The church is a mission of Our Lady of Mount Carmel parish in Middletown. Hope is a virtue that seems to be in short supply around the world and even here in the United States these days. News reports highlight one bleak story after another, in almost unrelenting fashion. From political polarization at the national level, the likes of which most have not seen in our lifetimes, to the daunting problem of homelessness, especially in New York City, which seems to be growing exponentially with dire consequences for society and individual lives. On the world stage, and at home too, refugee and migration issues are never far from the headlines, as affected people often reside in the shadows, encountering resistance and uncertainty. Even the news itself is increasingly suspect—plagued by partisanship, and shaken by “fake news” accounts that not only spread misinformation, but also taint the credibility of legitimate media outlets, which seek to produce truthful reporting offering information and insight. It’s enough to make reasonable people shake their heads in disbelief. 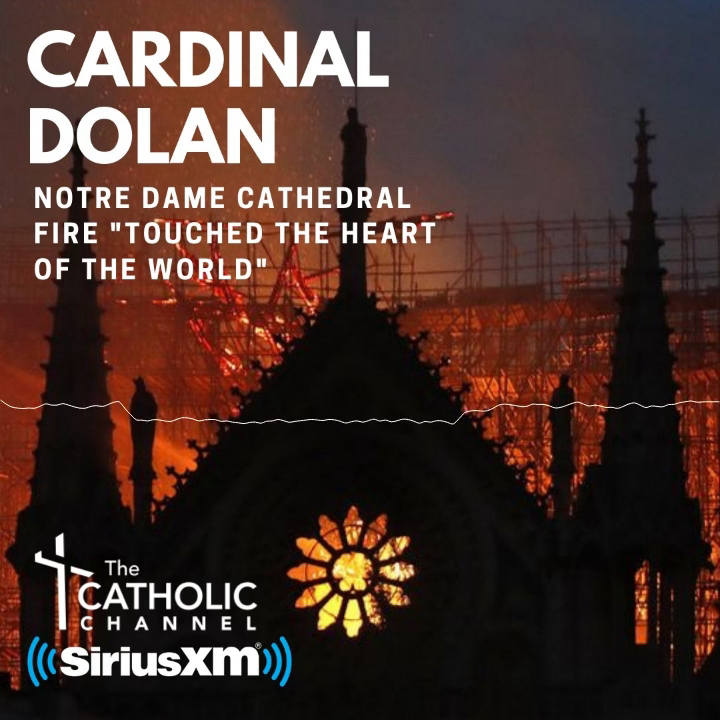 We Catholics know that we are not to give in so easily to despair, even when the world around us seems to be falling apart, or at the very least in need of some significant repair. And that is not because we are capable of successfully addressing every problem in our midst, or we are given to sustain unusual amounts of suffering. No, it is because our hope lies not solely in ourselves and our ability to solve problems. Our hope stands on an eternal promise issued by the life, death and Resurrection of Jesus Christ, who paid for our sins by enduring a painful death on the cross and rose to new life to offer the promise of our redemption. That’s the Easter story in a nutshell. Isn’t that out of place at this time of year, you might ask? Actually, no. Through the seasons of the liturgical year, Catholics have an opportunity to see again and again the great gift of love that Jesus expressed during his life among people much like us. Through the sacrament of the Eucharist offered at each Mass, and through the other sacraments, including the sacrament of reconciliation, the Church provides Catholics a way to conform our lives to his. The hope that Jesus brought to humanity began on Christmas morning, and never ended. He came into the world, not as a king or a prince, but in the most modest of settings. His Holy Family, including Mary and St. Joseph, was an example for the ages. As Jesus grew into his public ministry, stories from the Bible show us how people were changed, even transformed, through their encounters with him. It wasn’t that Jesus’ life on earth was without pain or suffering. He had to endure betrayals, even by one of his closest followers, and massive suffering leading to his death on the cross. As followers of Jesus today, we shouldn’t expect our burdens to always be light. In fact, if his life is any indication, we will experience difficult times. We may be persecuted for our beliefs. Why would we expect our lives, or the circumstances we encounter, to be markedly different from his? On some level, we all know that our earthly existence is not meant to be a paradise. We have to keep reminding ourselves that we do have hope, in our Lord and Savior, to see us through our lives here and to point the path to true paradise in heaven. It is our duty, as Catholics, to put a spotlight on that hope for our family, our neighbors, really, for anyone we encounter. Truly, nothing is impossible with God. On Christmas, we celebrate the beginning of the sustaining hope of Christ, who came to live among us and offer promise not only beyond our present circumstances, but our greatest imagining, too.